Millennium has the resources of a full-service marketing agency to deliver the best presentation possible for Public Relation efforts. This presentation can be in the form of a written story, video or custom application or web promotion. Millennium can also utilize their proprietary mobile platform to foster interaction and collect information. These capabilities results in multi-dimensional thinking beyond what’s traditionally expected of public relations. From community awareness to new product introductions to crisis management, Millennium’s award-winning public relations team is well equipped to plan and execute a variety of programs. 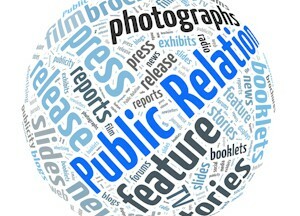 Used correctly, public relations can be the lowest cost, highest effective credibility initiative you can undertake. Millennium’s will devise and execute a public relations plan that will add value to your business. • Event planning & Coordination: Press events, Trade Shows, Open Houses, Grand Openings, etc. If you have an urgent public relations need, contact us today at 518.694.9935.